Who can qualify in MI for a sales tax exemption on utilities? A manufacturer or an industrial processor has the opportunity to qualify for a MI sales tax exemption on utilities. A company may submit Form 3372, the utility sales tax exemption certificate for any electricity, natural gas, or water meter that is used in direct production. When the certificate is filed with the utility, a percentage of the purchases of that utility are MI sales tax exempt. A utility study is required to determine the % of production that a particular meter consumes. How can one obtain the sales tax exemption on utilities in MI? Once Form 3372 is filed with the utility company, the account is tagged exempt. The certificate is good for 5 yrs. and can be renewed. Once approved, sales tax immediately is reduced by the appropriate percentage on the utility bill. Does the State require that Form 3372 and the utility study be completed by a professional utility engineer? No. A company is allowed to complete these requirements. However most companies in MI use an experienced professional. The utility study requires that it be accurate and certified by the signer. This is typically best served by an experienced professional. The utility study is required in order to provide evidence as to what percentage of a meter’s annual consumption is used for production purposes. The utility study is to list every piece of equipment and appliance that uses the utility, e.g. electricity and state each piece’s individual annual KWH consumption. The same process is required for non-production usage. The state requires a high degree of accuracy. 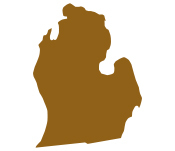 What is the scope of a Professional performing the utility exemption work in MI? Accurate completion of the utility study: The utility study is completed by On Your Mark, and there is no charge for the study and its evaluation. Claim for refund: In MI, exempt utility meters can qualify for a refund for sales tax paid in prior periods to the extent of the 48 month statute of limitations. If a refund is possible, On Your Mark files the claim in addition to the utility study. Entire Process handled from start to finish: On Your Mark performs the entire exemption service with little or no input from the company. Typically On Your Mark has the exemption completed and filed in 30 days from authorization to proceed. Risk-free Method to Obtain the Utility Sales Tax Exemption: On Your Mark performs the utility study and evaluation at no charge. If there’s no savings, no fees. On Your Mark only bills a fee after the company receives savings. Benefits of the sales tax exemption on utilities: Typically a 5-8% savings is obtained once the MI sales tax exemption is approved, and the sales tax is immediately reduced or removed from the bill.